After having had its name dragged through the gutter for years, the Silent Hill series seems poised to make a glorious comeback in the upcoming Hideo Kojima and Guillermo Del Toro collaboration Silent Hills. After calming myself down from seeing the teaser trailer for it at the end of P.T., I started thinking up a wish list of things Silent Hills should have if it is to revitalize the series and bring Silent Hill back to the forefront of survival horror. Even during its prime, Silent Hill has never been known for great combat systems. At its best, the combat systems have been functional and nothing more. Although the intent was undoubtedly to make the player feel helpless, the tank controls and clumsy control schemes turned combat into a perpetual annoyance. What made it even worse was that the monsters usually weren't that difficult if you could tolerate the awkward combat system. Monsters were more of a constant inconvenience than an actual threat due to how vulnerable many of the enemies were to spamming. They don't need to give the combat mechanics Uncharted levels of polish, but they need a combat system that is fluid and satisfying while still making the player feel vulnerable. In keeping with the current popularity of games like Outlast and Amnesia, they could even give the series more of an emphasis on stealth and running from enemies, with combat kept as a last resort. Whatever they come up with, it has to be actually good, not just good by survival horror standards. Combat shouldn't be clunky and frustrating to try to discourage you from fighting enemies. If I'm running from an enemy, I want it to be because I'm scared of them, not because I'll shoot myself if I have to endure the combat system one more time. One of the reasons why the original Silent Hill was so terrifying was because you had no idea what was going on when you started the game. You were in this living nightmare of a town where you had no idea what was lurking around the next corner. It was fresh and original, which made solving its various mysteries incredibly rewarding. It explained what it needed to, and left other things ambiguous. In perhaps its greatest accomplishment, Silent Hill effortlessly tapped into our natural fear of things that we can't understand or explain. Numerous installments later, the world of Silent Hill has lost a lot of that appeal. The endless storylines revolving around the cult of Silent Hill and the history of the town started to grate even back in Silent Hill 3, and it hasn't gotten much better in recent installments. We've learned so much about the history of Silent Hill and the workings behind the town that it's starting to feel far too comfortable and understandable to be truly scary. Perhaps one of the biggest reasons why Silent Hill 2 and the more recent Shattered Memories were so powerful and unsettling was because they set the mythology and cult storylines aside to tell two deeply personal tales that didn't get bogged down in the town's history. Spoon-feeding us new bits of uninteresting lore that the latest developer came up with or needlessly building upon the original games' mythology isn't enough anymore. I'd be perfectly fine with Silent Hills either fully rebooting the series or at least significantly expanding upon or challenging the mythology of the last eight games. I want to feel the same fear and confusion I felt when I first played a Silent Hill game, instead of yawning at another rehash of the same ideas and storylines we've been seeing for nearly a decade and a half. For better or for worse, the success of Silent Hill 2 led to many of the subsequent games in the series following a very similar formula: You have a troubled character with a mysterious past who is led to the town of Silent Hill and learns about the town and its history while dealing with his or her own personal demons. The player influences the story through several usually simple choices or variables that determine how dark the ending is. The problem is that while this formula worked extremely well in Silent Hill 2, it's gotten so very tired since then. Silent Hills needs to shake things up. That means no more convenient dissociative memory disorders or fugue states to setup cliché end-game plot twists. The main character shouldn't necessarily have to be hiding some shocking trauma or sin in their past. The ending the player receives shouldn't be reliant on the player making shallow binary choices like whether to kill or spare someone. Furthermore, the endings shouldn't exist on a shallow spectrum of good/happy to bad/dark endings; they should be equal in quality and be compelling in their own unique ways, similar to the In Water and Leave endings in Silent Hill 2. If Silent Hills is going to stand on its own, it can't be a greatest hits collection of old Silent Hill plot points and ideas. It needs to be original, and above all else, well-written—which leads into my next point. As far as I can tell, it hasn't been specified yet what Kojima's role is. Let's just pray that it doesn't involve the script. One of the best parts of the older Silent Hills was how minimalistic the script were. There's enough cutscenes and dialogue to get the story across, but a lot of things are left ambiguous or unexplained. Some of the dialogue is awkward or strangely delivered, but this never bothered me partly because it reminded me of a David Lynch film. The cut-scenes struck an excellent balance between being too long and too short, with most of them being the perfect length. Part of the reason why they succeeded at this is because they kept certain aspects of the story such as the town's history and the background of certain characters hidden in the various notes and journals the player finds by exploring the environment. I seriously doubt that Kojima could preserve this same sense of restraint and pacing in his writing. He isn't the worst writer in the world, but his fondness for monologues, stupid humor, and endless exposition would never work in a million years in a Silent Hill game. You could make a quite valid argument that whatever insane script he came up with would undoubtedly be better than the last two or three Silent Hill games, but I'd rather not set the bar that low. As far as who is going to write the script, Del Toro is the obvious choice. He has had experience writing horror screenplays before, and his flair for creating bizarre and fantastical worlds will meld well with the world of Silent Hill. I trust that he could do some excellent work if he was given control over the story. Daniel Licht did a pretty decent job of filling in for Akira Yamaoka in Downpour, but his work pales in comparison to anything that Yamaoka did throughout his long run on the series. One of the primary reasons why the Silent Hill series was still at least moderately enjoyable for so many years after Team Silent was broken up was because you always had Yamaoka's haunting music and sound design to shore up the often mediocre gameplay and scripts. He could create almost suffocating tracks that inspired dread like few others, but he could also write heart-rending pieces such as Acceptance from Shattered Memories. The sound design and music has always been one of the series' crowning accomplishments, so let's hope that by some miracle they can get Yamoaka back to create the perfect development team. Casting Norman Reedus was simultaneously one of the best and worst decisions they could have made. On one hand, it gives the game some much-needed star power, and Reedus is a perfectly fine actor. On the other hand, they're now going to have to battle the Daryl Dixon image all the way. The biggest problem with selecting an actor primarily known for one role—let alone a fan-favorite role—is that everyone is going to see that character regardless of what they play. His image as an unstoppable crossbow wielding badass with a seductive Southern drawl runs contrary to the atmosphere the series has tried to establish. After all, why should you be scared of the freakish monsters patrolling Silent Hill when you're playing Daryl himself? They need to distance the new protagonist from Reedus' current image in order to avoid damaging player immersion. In between the boots, leather jacket, scraggly facial hair, and messy haircut, the new protagonist currently looks like Daryl if he had slightly better taste in clothing, which isn't encouraging. Whether it be through personality or looks (or preferably both), they need to make this mystery man feel like an original and interesting new character, not Daryl Dixon/Norman Reedus making a surprise appearance in the Silent Hill universe. We still have probably at least two years until the game is released, so let's just hope that Kojima and Del Toro can correct the mistakes of the past and make this game into the game the Silent Hill series so badly deserves. 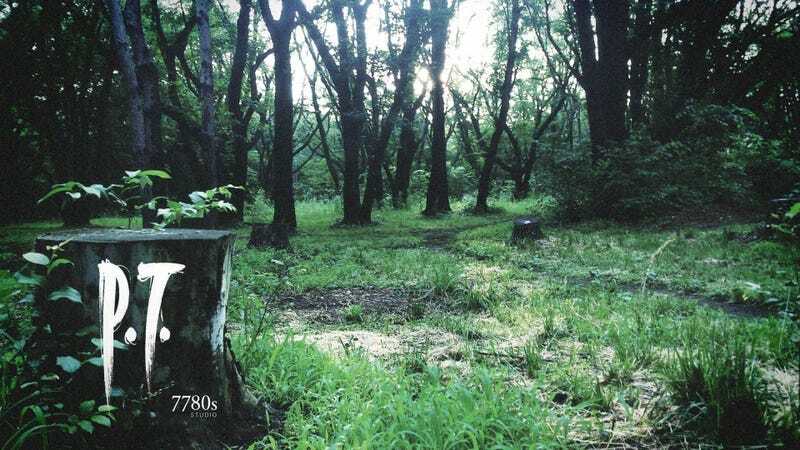 What's your wish list for Silent Hills? What do you want to see (or not see) in this latest entry?